Baby Sensory, written by Dr. Lin Day (PhD Dip. Ed. BSc. PGCE. M. Phil), has been specifically designed for babies 0 – 13 months. Founded on over thirty years of university research and practical theory, Baby Sensory is a unique programme that promotes baby learning and development from birth. 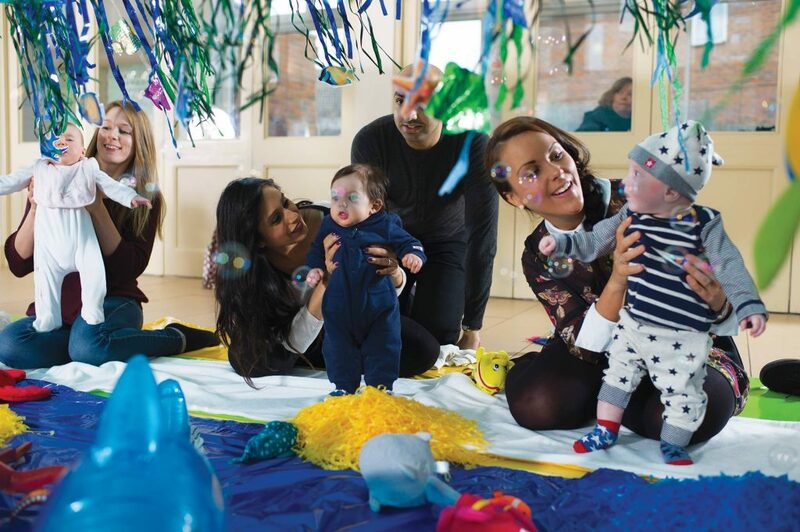 These award-winning classes will introduce both parent and baby to a world of sensory delights, where they can relax, spend quality time with each other and enjoy meeting other new parents. Specifically designed from birth to aid child’s development, the programme is packed with an incredible variety of sounds, smells, sights, textures, music, dance, signing and massage. Baby Sensory offers a world full of exciting experiences which give everyone a wonderful sense of well being.Babies learn more in the first year of life than at any other time. Never again will there be such an extraordinary pace of development. They are totally attentive and absolutely fascinated by everything that they can see, hear, touch, taste and smell. Baby Sensory provides hundreds of sensory development activities that are great fun for parents and babies to share in the vital first year. 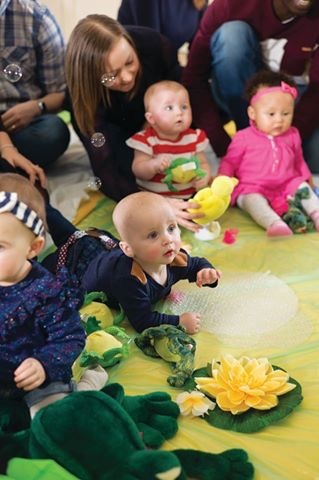 The Baby Sensory programme consists of over 40 themed lesson plans, so every week you will share new sensory experiences with your baby including fibre optic light shows, bubbles, bells, musical fun, baby signing, puppet shows, amazing light balls and so much more. Our award winning Baby Sensory programme has been designed specifically for babies from birth based on current research into babies’ development. Each activity is supported by the provision of developmental information, so that parents can discover how to lead their baby’s learning forwards, both within the class and at home. You can see a short video of a sample session on our website or better still come along to one of our sessions and experience the classes for yourself. On our website you can also find a range of developmental information and resources like our free Baby Sensory Academy which allows you to record your baby’s developmental milestones and access a range of information and activities to help promote your baby’s development. Baby Sensory classes are running in NSW, QLD, WA, VIC and SA. To find your local class and please visit our website at www.babysensory.com.au and click on the ‘Find a Class’ page.